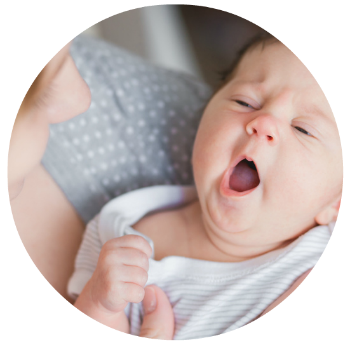 One of the BIGGEST enemies of sleep, especially for babies and toddlers, is over-tiredness. Many parents are surprised to learn just how soon their children can get overtired! 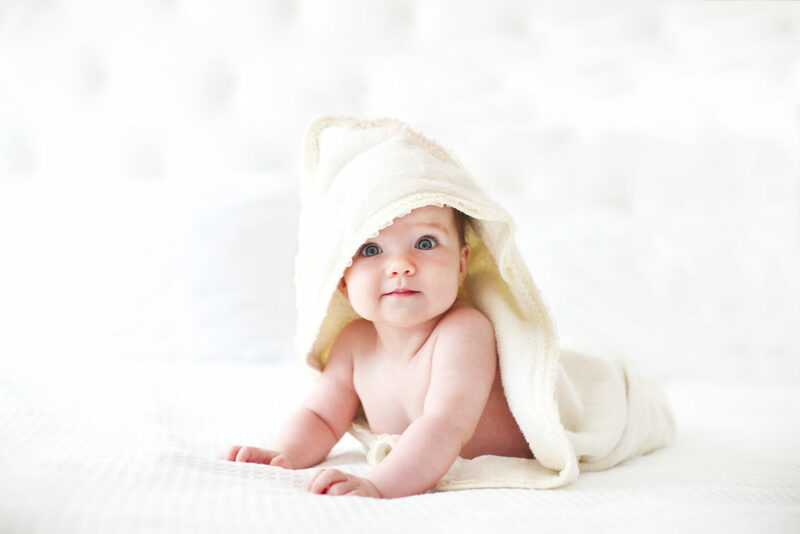 If you make sure that your child is put down for naps BEFORE they get overtired, you’ll find that they fall asleep more easily at naptime AND that they are more relaxed at bedtime too! Try making your child’s room as dark as possible. In many cases, even the glow from a nightlight or a digital alarm clock can be enough to disrupt your child’s sleep cycle. BONUS TIP: Try to keep your child’s room as dark as possible during daytime naps too. This can often make a BIG difference in how long your child will nap during the day. Babies and toddlers love predictable routines. A predictable bedtime routine (lasting around 30 minutes) is a great way to let your child know when the time for sleep is coming. Make sure that this routine is the same every single time. Remember, you want bedtime to be as predictable as possible for your child. After your bedtime routine is complete, be boring. Lots of children will try to ‘drag out’ bedtime by playing games, throwing toys out of the cot, standing up, etc. Don’t participate. i.e. if your child has thrown their blanket or favourite stuffed toy out of the cot, calmly return the item without saying a word. Be boring, and the games shouldn’t last too long! 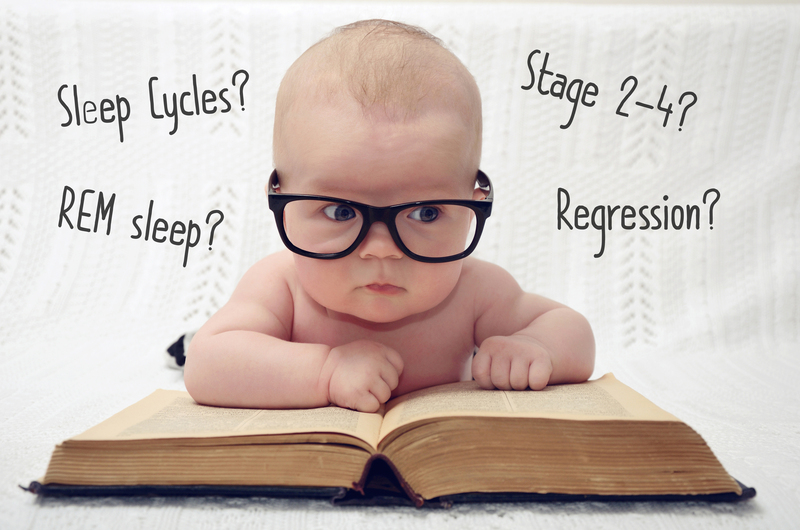 For a lot of babies, the single biggest reason they don’t sleep well has to do with a feeding-sleep association. In other words, your child has ‘linked’ the ideas of feeding and sleeping. They think that they need a bottle or nursing BEFORE they can fall asleep. Feeding shortly after nap-time, instead of before, can help your child break this feed to sleep association. This will, overall, improve your child’s sleep habits. BONUS TIP: A top up feed before bed is a good idea to keep tummy’s full for the night (specific to under 12 month olds). However, don’t make it the last thing you do before they go down in their cot or bed. Remembering that our children love predictability, it is a good idea to have your child sleep in the same place, around the same time, every day. Nap time should happen in the same place as night time sleep as much as possible, rather than in car seats, prams, your lap at the coffee shop, etc. For many parents, simply changing WHERE your child naps during the day will improve your child’s sleep. Improvements will particularly be seen in the length of naps and quality of night-time sleep. BONUS TIP: When you are putting your child to sleep for the night, it is a good idea to make sure that they fall asleep where you want them to stay asleep. In other words, if your child falls asleep in your arms on the couch and then wakes up during the night in a completely different place (like their cot), chances are they’ll be surprised and start crying to let you know about it! When your child wakes up during the night, or during a nap, and starts crying or fussing, try to wait a specific length of time before going in to check on them. Well, everyone (babies and toddlers included) will wake up briefly at the end of each sleep cycle. Most adults wake so briefly that we don’t even remember it in the morning. Children, aren’t as aware of the time as we are, they may need a little longer to work out that they are still tired, and should be going back to sleep. Give them a chance to master this independent skill. This ‘1, 2, 3’ System gives your child the opportunity to get themselves back to sleep, without your help. Once your child has learned this skill, you’re home free! and will improve your child’s sleep abilities. Before you put your child to bed (for naps or at night time), make sure the five-minute period before they are put to bed is very calm and relaxing. No throwing your toddler in the air or watching TV or tickle fights in the lead up to bed. This will help get their body and mind ready for sleep. So there you have it, my 7 tips to help improve your child’s sleep. Hopefully they are the missing pieces of the puzzle that gets your child sleeping well. If your situation is particularly tough and you need more help and support to achieve the best sleep scenario there is, please visit my Sleep Packages page and book a package that is right for your family.